From the 22nd to the 26th of January Radio 2 bridged the gap between all Flemish mayors and their residents. 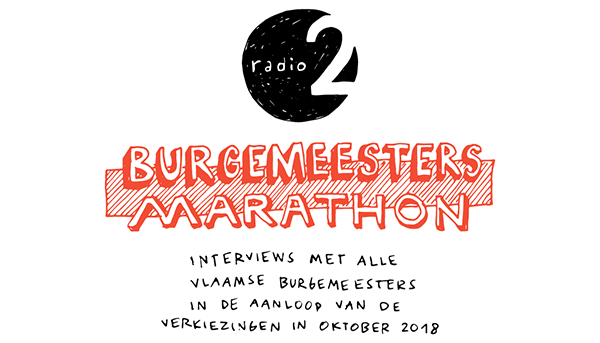 The radio network set up a dedicated Facebook project “Burgemeestersmarathon” which entailed live interviews on the Radio 2 Facebook pages, all based upon topics suggested by the residents in question. Media Fast Forward captured this special project at the “Radiohuis” in Leuven. Fien Reekmans, Program Director of Radio 2 Flemish Brabant and Brussels, gives us an introduction to the event “Burgemeestersmarathon”. She explains how all Flemish mayors were interviewed by the regional editors of Radio 2 in the run-up to the municipal elections that will take place in October 2018. In total, 280 mayors answered questions of their residents. The outcome? 62 hours of Facebook live streaming. Giving a voice to all those mayors on the radio was unthinkable, because – let’s face it – that would be extremely boring. For that reason VRT Sandbox came with the solution of live multicam TV. The main ingredients to make this idea work: 5 iPhones, 1 iPad and a software kit from our Video Snackbar. The Radio 2 reporters used our kit to interview mayors live on Facebook. They were able to choose the images themselves, add the Radio 2 logo and moreover show the mayors’ names on screen. The reporters furthermore selected photos and video clips. Thanks to our Video Snackbar the radio reporters temporarily became fulltime video creators. They fulfilled either the tasks of a Facebook manager, a Director of Cinematography or a Director of Audiography. 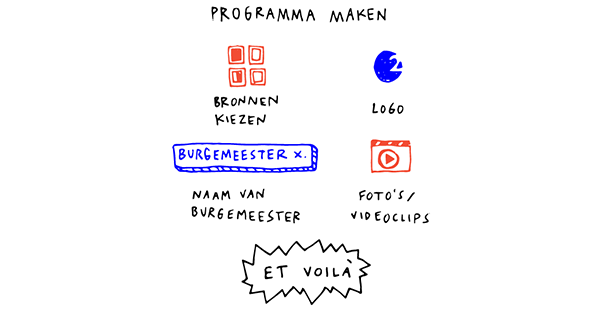 Video Snackbar heeft als missie om dingen innovatief in beeld te brengen. Het project liet de reporters en redacteurs hun officiële taken tijdelijk inruilen voor die van een Facebook manager, beeldregisseur of geluidstechnicus. In general the team of Radio 2 lacks capacity to embark on a substantial project as this. However, thanks to the toolkit Video Snackbar created, radio reporters turned into all-round video creators in a compact, efficient and simple way. 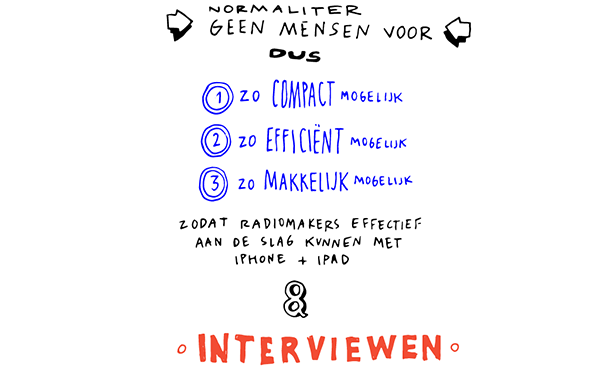 The editors used only 5 iPhones, 1 iPad, one software kit (and of course a lot of enthusiasm) to interview all Flemish mayors live on Facebook. And they clearly enjoyed it. English subtitles are available in CC.